TeenSRC 2014 – Time For Some Summer Fun! The end of June always means big things for Winnipeg Public Library’s Teen services, because it marks the start of our Teen Summer Reading Club (TeenSRC) and the start of our busiest time of the year. From now until the end of August, we’ve got 20 teen programs, 8 weekly trivia contests, six summer-long creative contests and a whole bunch of prizes to give away. The mainstay of the Teen Summer Reading club is our 8 weekly newsletters. Each Monday, we send out an email to all of our TeenSRC members with book picks, upcoming events and of course, that week’s trivia question. Everyone who answers our trivia question correctly (assuming they meet the eligibility requirements – must be a teen ages 13-17 and must be able to pick up the prize at one of our WPL locations) is entered in our random draw for that week’s prize. 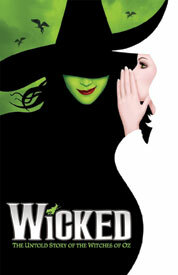 If you know of any teens who are big musical theatre fans, tell them to register NOW because next week’s prize includes tickets to the Broadway Across Canada production of Wicked at the Centennial Concert Hall! For teens who want to spend the summer reading, we’ve got 17 hand-picked booklists full of fresh new titles in every reading category imaginable. Browse the lists on the SRC website or pin & save your favorites from our Pinterest page. Of course, the crowing star of each SRC year (in our opinion, at least) is the summer-long creative contests. Each year, we ask teens to submit stories, poetry, artwork, photography and book reviews and then pick a winner and honourable mention (chosen by a panel of judges). Each year the quality of work that we see just astounds us. Head over to the teen Mash Up page to see what our SRC members have come up with so far! Looking forward to another great year of TeenSRC! During the months of May and June we asked Winnipeggers to write and tell us about their favourite piece of writing by an Indigenous writer from Turtle Island (North America). The past few years have seen a real surge in new materials by Indigenous writers being published and our goal was to get the word out about all these amazing talents. We had some terrific entries: you wrote to us about classic titles (April Raintree), new talents (Waubgeshig Rice‘s Midnight Sweatlodge ) and established writers (Will’s Garden by Lee Maracle). Your entries were touching and powerful and made for some great reading themselves! In the end we managed to narrow it down to two winners: one in the adult entrant category and one in the youth (ages 12-17) entrant category. Each winner received a Sony eReader (so they can start using the Library’s e-book collection!) and a starter “library” of print books full of great Indigenous literature. Whenever I see a blue butterfly I think of the grandmothers’ abiding presence. Of tears turned to joy. Because this is also the earth’s story, Halfe’s particular details hold a universal truth, and I am drawn to remember with gratitude my own grandparents: my Welsh ‘Nain’ with her indomitable will, my maternal Grannie, stone deaf and crazy. Both gave me their unconditional love. If you haven’t already discovered Blue Marrow, this haunting poetic meditation has my heartfelt recommendation. It will bring tears to your eyes. May it also bring you blue butterfly smiles. Blue Marrow sings of the resilience of life even through pain and injustice. It is a deeply moving tribute to the poet’s own grandmothers. The play fareWel by Ian Ross is very funny. The characters are very interesting and stuff they do is pretty crazy. They talk, fight and try to borrow money from each other while they wait for their welfare cheque. I really liked the character of Sheldon Traverse. His story is intense because he has been through so much. He has been cut by a chainsaw, bit by a dog, hit by a police car and been punched in the mouth to remove a bad tooth. I think the language used in the play is really funny. All the characters laugh at each other and all the ridiculous stuff they end up doing. I think this play is very good and people should read it. The characters encourage the reader. Even though they are in a bad situation, they keep laughing and trying. An archive of this post, along with its additional reading suggestions, can be found in the new Aboriginal Services section of our website. Head there to find out all that we’re up to as we serve and celebrate First Nations, Métis and Inuit communities in Winnipeg. The section also features a great set of research links and listings of organizations in Winnipeg and Manitoba serving First Nations, Métis and Inuit peoples. Posted in Readers' Resources, What to Read Next? TeenSRC 2012: Contests, Prizes and More! Hope everyone’s enjoying their summer so far! Here at Winnipeg Public Library we’re so excited to say that we’ve already received tons of entries for our TeenSRC summer-long contests and weekly quizzes! So you may be asking what exactly is TeenSRC? It’s the 2012 Online Teen Summer Reading Club! It runs July 3 – August 26th, and is open exclusively to teens ages 13-17. TeenSRC is *THE* place to be for quizzes, contests, book suggestions, and fun things to do in Winnipeg all summer long! When teens sign up with an email address on our ‘JOIN THE CLUB’ page, they’ll be joining a group of other teens from across Winnipeg who also love to read, talk about books and share that love with other people! What do you get for signing up? This summer, we’ve put together a huge array of booklists of all sorts of genres and styles. We’ve included tons of new books but also many classics, series lists, ebooks, audiobooks, graphic novels, manga and more! Check ‘em out! You’re bound to find something of interest! There’s always cool stuff for teens to do in and around Winnipeg, both in our library branches and around the city. Check out our nifty calendar of summer activities for great ideas for keeping busy and making the most of the summer! There are also 4 summer-long contests that you can enter this summer. Enter any of the contests as many times as you like! Get creative and show of your love of books or show off your creative talents. And if you see a book review, top ten list or mash up on Booked that you like, don’t be shy to post your thoughts and comments either! Best Book Review Contest (entries are posted to Reviews): We want you to tell us about a great book that you’ve read! Give us the good, the bad, and the ugly — whether you loved it, or hated it — and voice your opinion! It can be a book you just read, or a book you read a while ago. Just write a review, and share it with the world. Best Top Ten “Read-Alike” list (entries are posted to Top Tens): This summer, we want you to give us a top ten list of awesome read-alikes. Pick one of your favourite books, and then tell us about 9 other books that are similar in some way. The list is up to you! The formula is simple: If you like (this book) then you’ll probably like (these books). Just don’t forget to tell us why! Best Photography/Artwork Contest (entries are posted to The Mashup): Grab your camera, or pick up a paintbrush, and share with us what makes Manitoba “home” to you. Get in touch with your artistic side, and send us your best photo or original piece of artwork – and don’t forget, we want you to tell us WHY the photo/artwork is significant to you. Don’t leave us guessing! Best Short Story/Poem Contest (entries are posted to The Mashup): This summer, we want you to put pen to paper (or finger to keyboard), and tap into your creative side. Whether you end up writing a short story or a poem, we want to read your stuff! So go ahead, write about anything you want, and send it to us! We’re certain that Manitoba’s next great author is out there somewhere! All contest submissions must be posted on our teen website, Booked. The best entries will be selected after August 26th, and the winner of the contest will receive an awesome prize pack! Summer-long Contests – Rules and Regulations: Beginning July 3rd you can start submitting entries for the 4 Summer-Long Contests. All entries are submitted online to the Booked website. Submissions will be judged based on quality and creativity. The best entry will be selected after August 26th, and the winner of the contest will be notified by e-mail. The winner will receive a prize to be picked up at one of our 20 library branches. Participants may enter as often as they like. There is no limit to the number of entries each person may submit. The contest is open to teens ages 13-17. Children aged 12 and under are welcome to enroll in our Children’s Summer Reading Program. Staff of Winnipeg Public Library and their immediate family are not eligible to win prizes. BEST OF ALL… *All* contest entries (both from weekly quizzes and summer-long contest entries) will be entered in a final Grand Prize draw at the end of the summer. Check out our PRIZES page for details on what you can win! And don’t forget to visit the TeenSRC website throughout the summer to see what’s new on our SRC Mascot Adventures page! 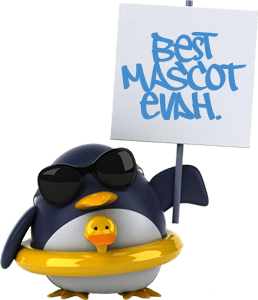 We’ve got an adorable penguin who’s volunteered to pose for TeenSRC and keep us up to date on all the fun stuff he gets up to over the summer… who knows where he’ll turn up next? SO WHAT ARE YOU WAITING FOR?? Register today! And if you’re not a teen aged 13-17, pass the info along to someone who is! Questions or comments? Send them to booked@winnipeg.ca!